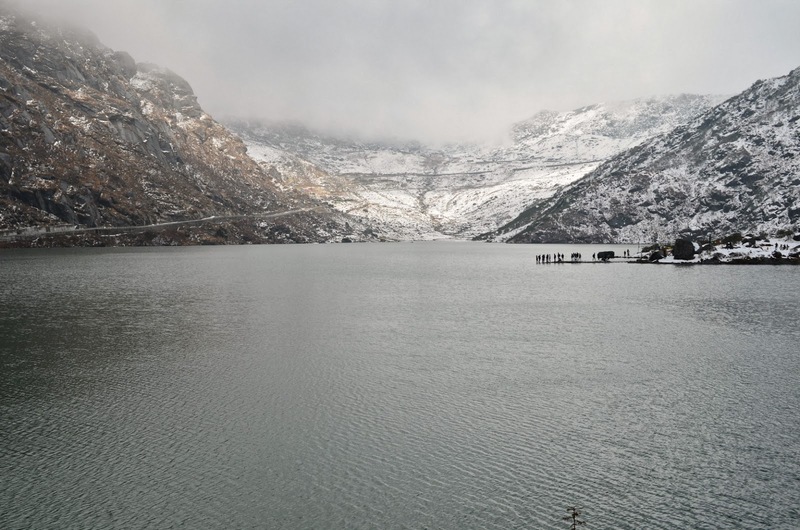 Tsomgo/Changu Lake is a glacial lake situated at a height of 12400 feet. 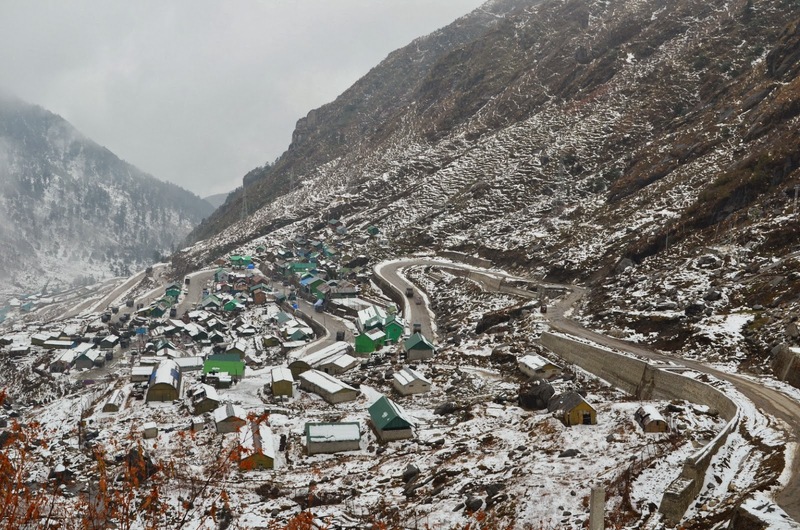 It is about 40 km away from Gangtok, the capital of Sikkim. 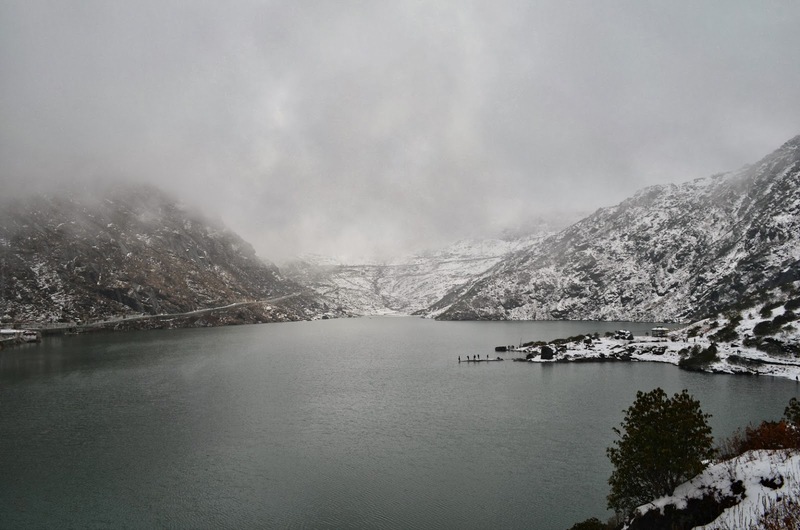 On our visit to Tsomgo/Changu Lake, we were quite lucky to find snow there. The views were absolutely breathtaking, as you can see in the pictures below. Tsomgo/Changu Lake is revered by the local people. 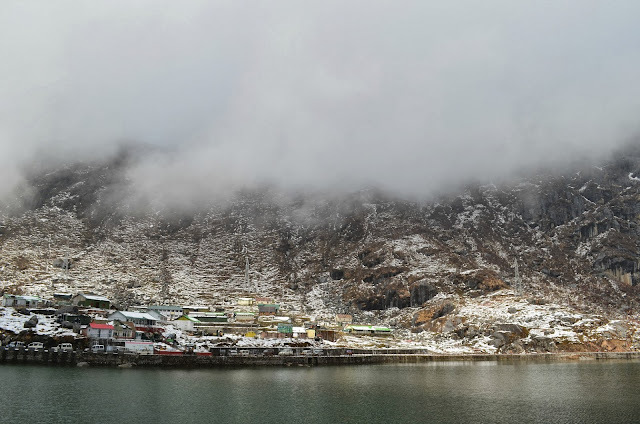 In the local Bhutia dialect, the name Tsomg is said to be made of two words - 'Tso' which means "lake" and 'Mgo' meaning "head" which literally translates to the meaning "source of the lake". Steep mountains surround the lake and these mountains are covered with snow during the winter season. When summer arrives, the snow melts and it becomes the source of this lake. I am posting from of my favourite pictures from our Tsongmo Lake visit for this week's Saturday Snapshot. Saturday Snapshot is the brainchild by Alyce of At Home With Books. It is currently being hosted by Melinda of West Metro Mummy Reads. It’s easy to participate – just post a picture that was taken by you, a friend, or a family member and add your link on Melinda's site. The roads caught my eye - wow! Love those bright pops of green in the colorless surroundings! Lovely shots. Stunning views! I had no idea that there was landscape like this in India. I always forget how large of a country it is and what diversity of geography is there. When I think of India I think of heat not snow. But at that elevation snow must be fairly common. Lovely. I agree Anne, anyone would think of the heat. But, we do have some beautiful places which are at a good height and temperatures in these places are fairly mild throughout the year. Sikkim is one such place. What beautiful pics - and such a majestic setting.